Brian K. Leavell, age 67, of Elwood, passed away on Saturday, August 11, 2018 at the home of his daughter in Noblesville. He was born in Elwood on October 4, 1950, to the late Meredith and Martha (Scudder) Leavell. Brian was a 1968 graduate of Wendell L. Willkie High School in Elwood. 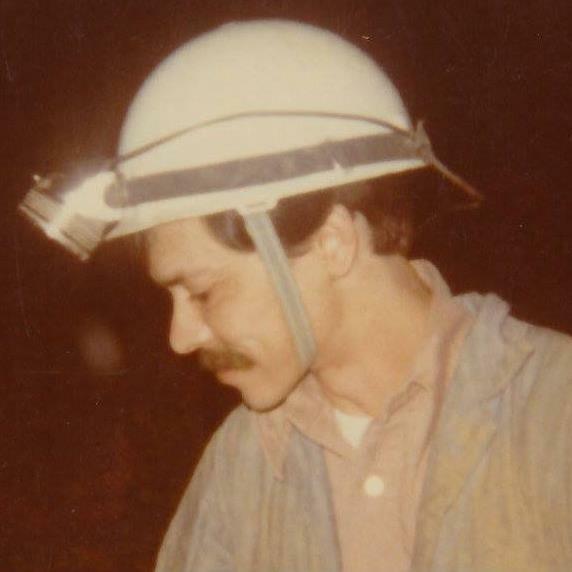 He worked at Excell-o in Elwood before retirement but his true passion in life was caving. He was co-founder and president of the Eastern Indiana Grotto club, member of the National Speleological Society and was honored by being named a Kentucky Colonel. Brian was a true environmentalist. He enjoyed caving, camping, spending time on the water, and doing most anything outdoors. Brian was a simple man who loved to make our earth a better place for future generations. Brian is survived by 2 daughters, Sarah (Joshua) Sterrett of Noblesville, and Stacey Melliere, 7 grandchildren, Samantha Enders, Matthew Enders, Rose Sterrett, Adrienne Foley, Eve Melliere, Emma Melliere, and Avery Melliere, and his girlfriend, Edna Litaker. Brian was preceded in death by his father, Meredith W. Leavell and his mother, Martha M. Leavell. Cremation was chosen and there will be no formal funeral services at this time, but a celebration of life will be scheduled shortly. Arrangements were entrusted to Dunnichay Funeral Home in Elwood.